This weekend I began reading Present Over Perfect by Shauna Niequist. I am not sure how many of you have read Shauna’s books, but I am a pretty big fangirl. But this book, this one has deeply struck a chord the last few days. I actually had a completely different Monday Words for today, which I saved, and tucked away for the next one instead, because this weekend I have been deeply reminded of the importance of the words above not only because of Shauna’s book, but from life itself. What I love about being in Michigan is the calm that I feel here. Something in my soul always feel right. Even while staying with my parents, life feels stiller, easier, and full of more room to breathe. It has made us realize so many things this summer that will cause big changes in our life on many levels, but one of them is the intention of caring for thyself. I talked on Friday about the importance of your 20’s, and in many ways, I think that ties somewhat into this post as well, maybe quite perfectly. This time in my life of having a baby, becoming a mother, learning to balance a business, learning to be a good daughter, learning to be a more patient human, and all the while maintain cleanliness has on some level made me highly aware of how none of these things are done well when I am not taking care of myself well enough. I don’t mean the kind of well where you go the doctor for, I mean the kind of well you go to a therapist for. After having Hayes, I never gave myself the room I needed to enjoy that time the way I should have. Yes, I was there physically, but mentally and emotionally I wasn’t. I regret it. I tried hard to remain present not just physically but emotionally, but I found myself frustrated by the fact I wasn’t working at my normal level. My expectations were out of proportion, wrong, and ultimately left me unhappy. I now know that that time was short, a small window in time, which was precious and meant to be about tending to myself, Hayes, and nothing else. Instead, of beating myself up for not being further ahead or not getting back to work or an Instagram out. It was silly. So silly when I look back on it, but this is part of the world that we are in, where we expected to keep chugging, nothing slowing us down too much, because in some way that may mean we aren’t strong enough in some capacity. Well, this summer I have spent a lot of time letting go of that idea and the anxiety that being a business owner can create. I have spent time thinking through how I can enjoy this phase in life better, accept it for what it is, enjoy it, and at the end of the day find myself whole, better, and less scattered. This is why I have found Shauna’s book so fitting these days as I have been working to reset my expectations of my day. I have been learning flexibility, accepting that some things in work or life just won’t get done and maybe it is better that way. She speaks in the book about the goals of having a well-tended-to-soul and that phrase has become a minute-by-minute reminder of the importance of preserving me more than it is to be “perfect” within squares of my life, as a mother, or as a business owner. Learning these days that it is best to not give up but to be a great steward of the time I have with and without Hayes. That I need to beat myself up less about the things not checked off my to-do list and instead celebrate the ones that are checked off. As I think about this coming fall and the next 6 months of Hayes’s life, I plan and intend to focus on what it means to really tend to my soul. Not just for my own benefit but for Mike’s, Hayes’s, those I love, and for my work. Because when we tend to ourselves and learn to take care of ourselves properly we become our best for those around us. We are better are able to tend to those we love, be present where we are needed, and do our greatest work. I am looking forward to this coming fall to find this purpose and intention in my life, to place it as a priority, to work to discover this, and to set new routines into place. We intend to begin shifting our life some accommodate this so we can be our best selves, here, at home, with Hayes, with each other, and in work. 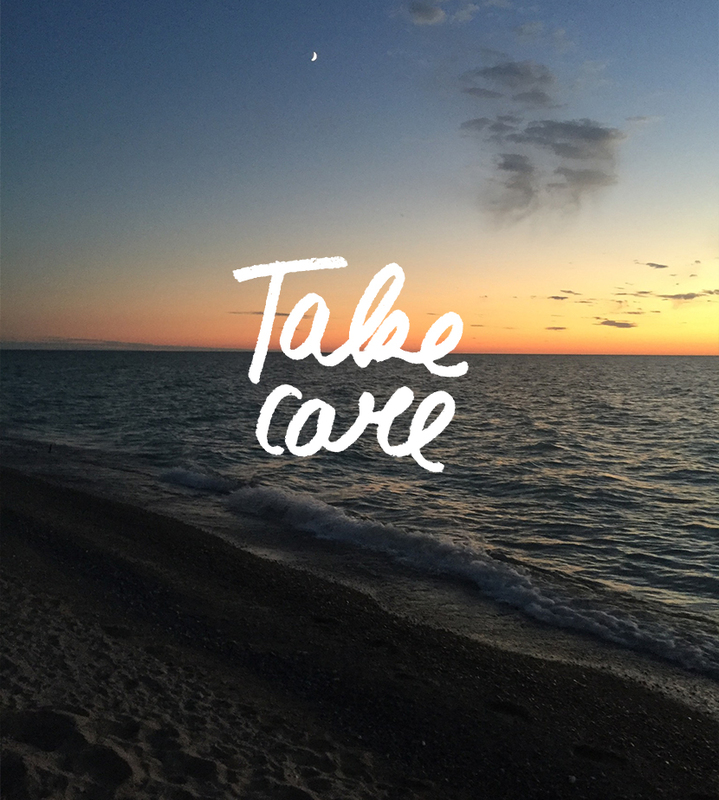 So, I challenge you this week to find ways to take care of yourself. It may be small but any step towards self-care is important. It is so easy to take our well being for granted especially in our 20’s and 30’s but the earlier we can learn to set ourselves as a priority knowing it will result in us being better everywhere else in our lives, the better our life will be the older we get. How do you take care of yourself? Do you meditate? Have you read Present Over Perfect?! Shauna Niequist is one of my favorite authors! Her book “Bittersweet” is a life changer. I love her open heart and honest conversation about how she strives to be better, not perfect. I’ll definitely check out this book next! GOsh, MEgan, I need to call you! I have been like a wild woman over here trying to prepare work and schedule my life through the end of the year in preparation for this baby… I JUST started reading Cold Tangerines yesterday and love it, it’s my first Shauna Niequist book. I am so worried about losing steam in work (and not making enough $ to sustain during my ‘break), but also about losing out on a special time in my life. I feel very stuck between two ‘SHOULDs’. Taking time for myself seems so indulgent and my personality just associates indulgence with laziness or entitlement. In my brain, I know that isn’t true, but it’s a hard thing to get over. I’ve never read the book, but i did relate to the need to take care of myself. i already did/ do it for others and i thought that i was doing it for myself as well. A couple of years ago, i realized that it was not exactly the case. I HAVE NEVER READ ANY OF HER BOOKS, BUT AFTER SEEING HOW IT MOTIVATED AND MOVED YOU, i WILL! tAKE CARE OF THYSELF, LOVE THAT QUOTE. i MEDITATE AND SET AN INTENTION DAILY. I DO A SHORT 15 MINUTE STRETCHING AND YOGA PRACTICE. I SWEAR, IT HAS TOTALLY CHANGED MY LIFE, MY THOUGHTS, MY SELF CARE AND SELF LOVE. i PRAY AND i LISTEN TO UPLIFTING CHRISTIAN MUSIC ON THE WAY TO WORK. aLL THIS RITUAL OF SELF CARE/LOVE THYSELF CENTERS ME WHEN i AWAKE AND SETS A POSITIVE, SERENE TONE IN MY HEAD. Still working on that whole “self-care” thing… Hubs & I are BOTH work-a-holics… so, honestly, not much else happens besides taking care of the kids & work. I’ve started hearing more & more about Shawna Niequist & her books… I’m going to have to add this one to my (ever-growing) reading list!